Having appeared 33 times in his first year at FC Bayern München, and played a key role in the Bavarians’ 2015/16 domestic double, Joshua Kimmich has hit the ground running at the German record champions. In a bundesliga.com exclusive, the 21-year-old looked back on his maiden season in the Bavarian capital, and spoke of his dream of representing Germany at UEFA Euro 2016. Download the free Bundesliga app! bundesliga.com: Joshua Kimmich, would you agree that your first year at Bayern could have hardly been a more resounding success? Joshua Kimmich: Few people would have expected things to go so well, and nor did I. Not everyone thought that a young player like me could find his place in a world-class side like Bayern. Looking back it turned out to be the right step for me, though. One thing I’ve learnt, however, is that at a club as special as Bayern, you have to prove yourself all over again on a daily basis. "At Bayern it became even more apparent to me how important it is to work together." bundesliga.com: Despite being a defensive midfielder by trade, you’ve played in several positions in your first year at Bayern, including centre-back and right-back. What makes you such a versatile player? Kimmich: (Laughs) The last time I'd played at centre-back was at Stuttgart when I was 13! The reason it worked out well is that I have great team-mates and also the fact that we’re trying to keep the ball a lot helped. I couldn’t have played in this position at every club. I don’t think you’re involved in as many aerial duels [as a defender at Bayern]. bundesliga.com: How much of an influence has Pep Guardiola had on your career? 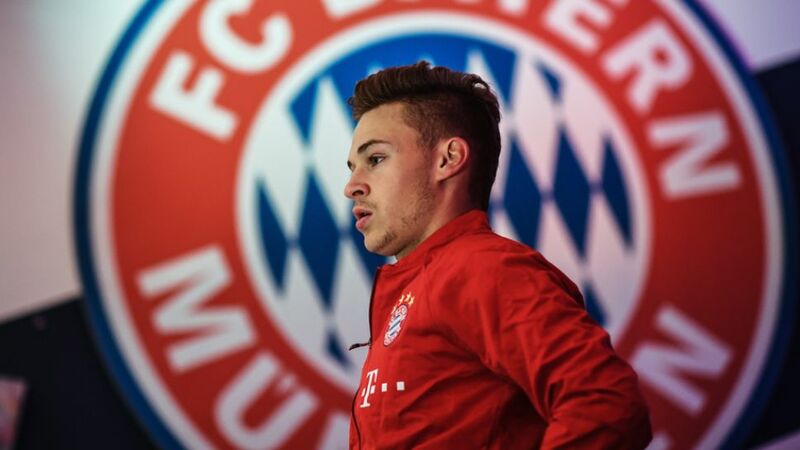 Kimmich: He’s been very important, of course. He and the other people in charge of FC Bayern signed me and I got to play even when we had a big squad to choose from, like against Borussia Dortmund both in the Bundesliga and in the DFB Cup final. It shows you the confidence people have in you, and that's very important for a young player. I’ve learnt so much, and I’m happy for any input as I want to improve further. As an individual you have to contribute to the team’s effort. At Bayern it became even more apparent to me how important it is to work together.